Anerlisa Muigai has urged fellow Kenyans not to lose hope in life for having not attained their dreams. The rich kid used her father as an example to show how success sometimes can be very illusive but if we keep pressuring on, eventually we will get it. Her dad, Joseph Karanja, and her mum Tabitha are the founder of Keroche Breweries but success didn’t come easy for them. It took almost two decades for her dad to finally become a successful man after trying out different hustles. 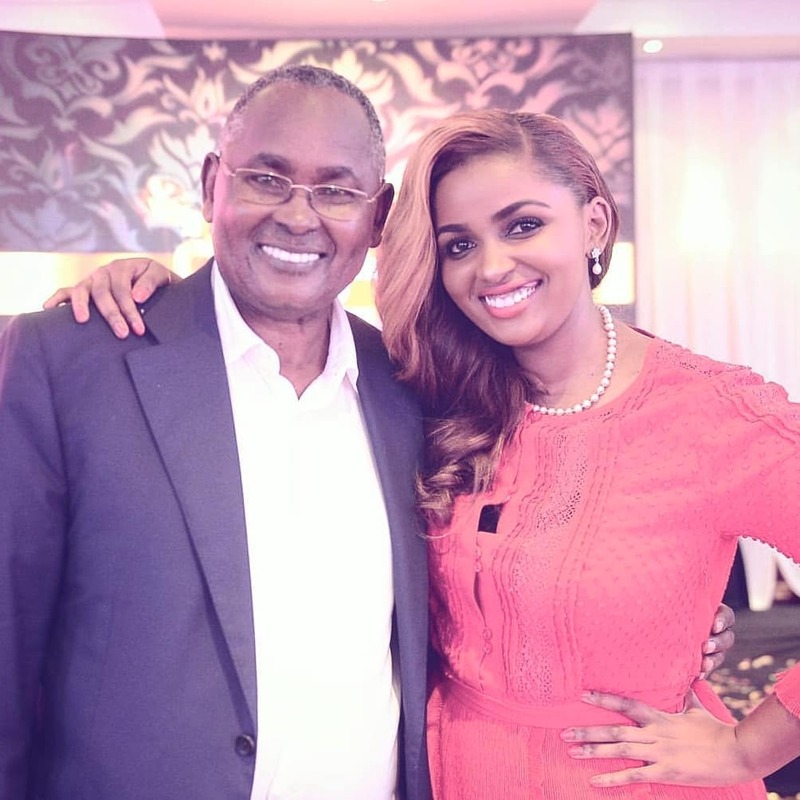 “My dad had tried so many businesses and almost lost hope before they started Keroche Breweries. KB was started when he was 50 years. At the age of 50 is when he got to see some hope, now he is a Chairman of a whole company. From a charcoal burner to a Chairman. I haven’t met anyone who is as hard working as him. Age is just a number. Don’t be in a rush or feel pressured about making it in life. Everything at it’s own pace.” she said. Tabitha has been married to Karanja and together, they are the parents of four children; James Karanja, Anerlisa Muigai, Edward Muigai and Tecra Muigai. Joseph Muigai Karanja serves as the Chairman of Keroche Breweries Limited.